23andMe is an online service. You need a computer with Internet access to use our service and to view your genetic data. Throughout our website, we provide detailed information regarding the genotyping process and what you can expect or may experience from our service. Please review this information prior to purchasing. Your placement of an order from 23andMe constitutes your acceptance of our Terms of Service and your agreement that the policies below apply to your order. To receive a refund for an unused kit, you must notify us within thirty (30) days of placing your order in 23andMe’s online store or paying a lab fee directly to 23andMe that you request a refund and confirm that you have not yet shipped your saliva sample to our laboratory. Please review the refund restrictions and exclusions. If you want to request a refund on your entire order, complete our online form. If you are interested in refunding part of a multiple kit order, contact Customer Care. In the event that you have had two sample failures, we will refund your kit fee minus shipping and handling charges. Learn more. Following notification to 23andMe of your request for refund for an online order, you must also return the saliva collection kit, which has a pre-paid shipping label affixed to the bottom of the box, to the laboratory within thirty (30) days of the date of which you request a refund. Once we have confirmed receipt by our laboratory of your saliva collection kit within the thirty (30) day window, we will refund the balance of the total purchase price after subtracting your shipping and handling charges. We will not issue a refund if (i) you request a refund more than thirty (30) days after your order was placed, (ii) our laboratory had begun processing your saliva sample prior to your request for refund; or (iii) we do not receive your saliva collection kit within thirty (30) days of your request for refund. Ancestry Service upgrades are non-refundable. To receive a refund for the lab fee, you must fill out our online refund form. We will not issue a refund if (i) you request a refund more than thirty (30) days after the payment of your lab fee was processed; or (ii) our laboratory had begun processing your saliva sample prior to your request for refund. In the case of kits purchased through an authorized retailer, only the lab fee is paid directly to 23andMe. The cost of the kit can only be refunded by the retailer from which you purchased the kit, and is subject to the retailer’s refund policy. Please consult the retailer’s refund policy to determine if your kit is eligible to receive a refund. 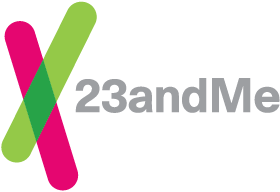 For kits purchased in the United States either in-store, online from an authorized third party retailer or purchased at a conference or event, 23andMe will only refund the lab fee paid directly to 23andMe. Please consult the retailer’s refund policy to determine if your kit is eligible to receive a refund. Ancestry Service upgrades are non-refundable. Any refunds provided under this policy will be issued to the same credit card(s) used for the purchase and will be processed within 21 business days of confirmation by our Customer Care team that the conditions of the refund have been met. If the purchasing card cannot be automatically refunded, a reward email will be sent giving the option to redeem a refund in the form of an Amazon or Visa egift card. At the time your refund is requested and we confirm that your sample has not already begun to be processed by our laboratory, we will invalidate your saliva collection kit and any sample sent to our laboratory using that kit will not be processed. International orders paid for in US dollars are refunded at the exchange rate for USD effective at the time of the refund request. If a refund is issued after a change to the currency rate, customers may receive a refund amount greater or lesser than what they paid in their local currency. 23andMe is not responsible for currency rate changes that occur after the order is placed. If a purchase of two or more kits is what qualifies your order for a discount and you request a refund on part of the order or if a sample fails analysis twice, the discounted kit price will be refunded first. Tip: To ensure that your kit return and refund is successfully processed, please remove the kit shrink wrap to expose the return USPS shipping label. Please do not refuse the package or return it to sender as this will not route your collection kit to the laboratory and your refund may not be processed.